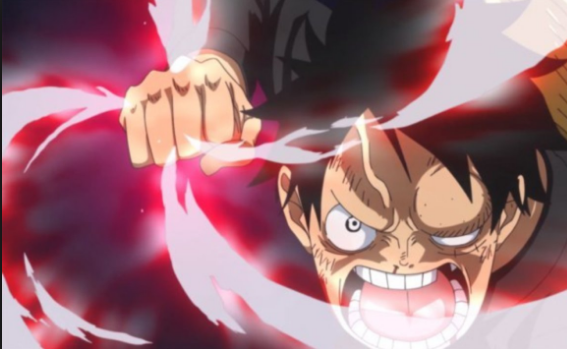 Luffy's fight with Katakuri in the Mirro-World has seen many different phases over the course of the last several episodes of One Piece, but recent developments have brought the fight to its definitive final stage more than others. Luffy and Katakuri's fight has leveled up once more as the both of them, for the first time in the fight, have reached a level playing field. Neither one is greater than the other at this point, and the winner will be decided by pure will. The new stage kicks off with a major Conqueror's Haki clash that Now that Katakuri has accepted Luffy as a fighter of equal skill, he has met Luffy's perserverence with respect. Even going so far as to turn his own Mole against himself, he badly wounded his body in order to match the fatal wound landed on Luffy following his sister Flampe's interference. Now that the gloves are off, for all intents and purposes, the fight between the two of them has gone in a more straightforward direction. Before the episode ends, Luffy and Katakuri charge toward one another with Haki infused punches, and the both of them manage to land a clean hit. Neither refuses to back down or fall back from the attack, so fans now realize that the end game is in sight for this battle.